There may be no more difficult task in business than bringing a brand back from a Chapter 7 bankruptcy filing. But those who counted out the Irish-themed Bennigan’s restaurant chain once it failed a few years ago didn’t reckon with CEO Paul Mangiamele or a cadre of new franchisees willing to take a flyer on the venerable marque. “There are no boundaries that can be set on a team that is so passionate and committed to a brand that nothing becomes an obstacle,” Mangiamele told brandchannel. The restaurant-industry veteran was recruited by investors in 2011 to lead a turnaround of the brand that was bought out of bankruptcy in 2008 by a private-equity firm. Mangiamele said the last owners were “poor custodians of the brand” because they didn’t continually reinvent Bennigan’s, which actually was one of America’s first casual-dining chains when Norm Brinker launched it in 1976. 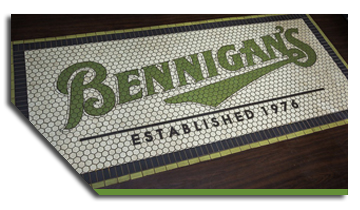 Mangiamele has led a process of refreshment, renewal and reinvention of Bennigan’s over the last two years while facing headwinds ranging from stepped-up competition in the fast-casual sector to a slumping restaurant economy. With that, Bennigan’s overhauled its menu—even its iconic Monte Cristo sandwich—and expanded its drink offerings with “handcrafted specialty and iconic drinks and refreshed craft beers,” Mangiamele said. “Where the rubber meets the road, all of that means warm, friendly Irish hospitality,” he said. “And sales and profits.” Since the new menu launched in January, Mangiamele said the average check has risen by 10 to 15 percent. That’s a great goal, and one which will engender the enthusiasm of Bennigan’s new employees and managers quite easily at the beginning, but the key to creating the brand anew will be if Mangiamele, his cohorts and franchisees can continue to harness the enthusiasm of their staff over the long term.